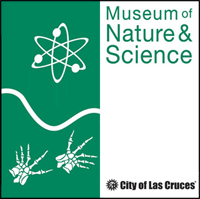 Come celebrate NanoDays 2015 at the Museum of Nature & Science! On Saturday, March 21, our normal Saturday classes will be canceled to allow for tons of activities relating to the amazing science of the miniscule world of atoms and molecules: nanoscience! NanoDays at MoNaS is part of a nationwide festival of educational programs about nanoscale science and engineering. NanoDays events will combine fun hands-on activities with lectures on current breakthroughs in nanoscience. We’ll explore polarized light, investigate how scientists use special tools to study tiny things, and imagine how nanotechnology could change the way we eat! NanoDays is organized by the Nanoscale Informal Science Education Network (NISE Net), which is a national community of researchers and informal science educators dedicated to fostering public awareness, engagement, and understanding of nanoscale science, engineering, and technology. Through products like NanoDays, NICE Net is actively building partnerships between science museums and research centers to increase their capacity to engage the public in learning about nanoscale science and engineering.